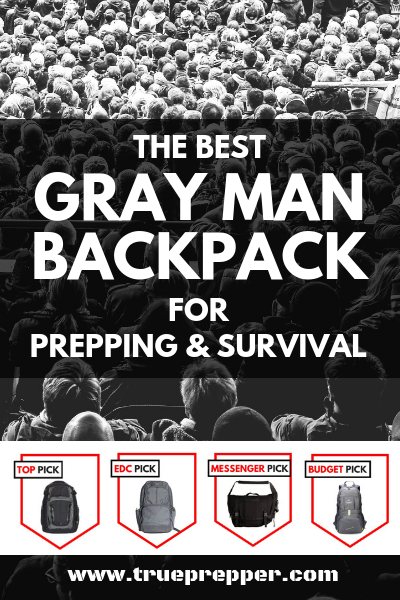 A good gray man backpack is a huge upgrade for a variety of survival kits. The “gray man concept”, simply put, is the ability to blend into a crowd and not draw attention to yourself. Many tactical backpacks do the opposite of this, which can work against you in a wide range of situations: from survival to every day encounters. The best gray man backpack is versatile and functional enough to withstand all sorts of punishment, yet it still blends in. We have conducted hundreds of hours of research and testing on gray man backpacks, searching to find the best ones for value, functionality, your budget, and portability. 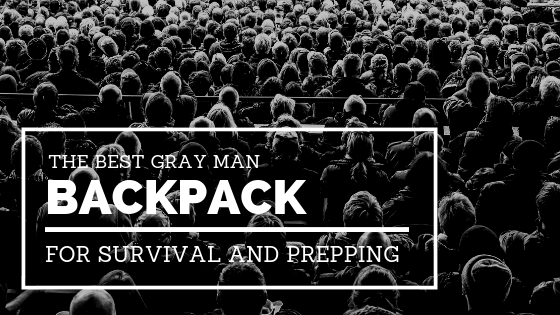 If you want to blend in and stay prepared in any situation, one of our gray man backpack recommendations will do the job. What is a Gray Man Backpack? Who Needs a Gray Man Backpack? The backpack that provided the best functionality, versatility, durability, and value. Withstands punishment, holds and organizes any kit with ease, and blends in with the masses. *Price at time of publishing; check for price changes or sales. The 5.11 COVRT18 Tactical Backpack is a part of 5.11’s consistently great COVRT line of products. Despite the barren exterior, the interior of this backpack is full of MOLLE, QuickTact, and even a side-entry R.A.C. The storage areas are extra roomy and it has an 1841 cubic inch (30L) total capacity. The hydration pocket, laptop sleeve, adjustable straps, quality padding, and 500D water resistant nylon build go the extra mile to make this bag the best for the job. All of these features make it an excellent choice for BOBs, GHBs, and even EDC. Trusted by operators. Ridiculously durable. Low visual profile. The Vertx EDC Ready Pack is no joke. Many years ago, Vertx was commissioned by a top agency to develop tactical pants that combined functionality and discretion. They were incredibly successful and branched out into low profile concealed carry bags and packs. The EDC Ready Pack is the smallest pack in the catalog, but it packs in the same durability, functionality, and good design. 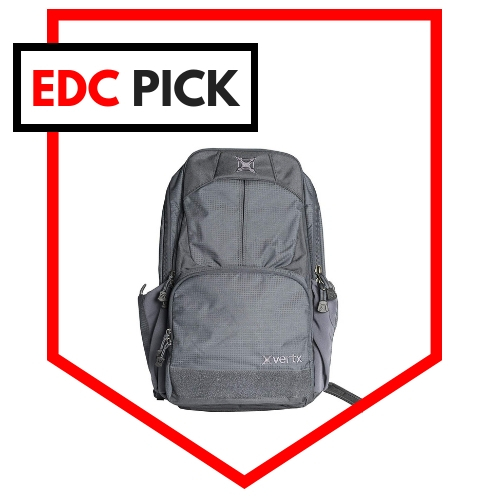 This EDC backpack will keep up with you every single day no matter what you throw at it. Use for your BOB, GHB, EDC, INCH, or even as your CCP range bag. Messenger bags are a favorite for the GHB enthusiasts, since they are generally less noticed in the workplace. 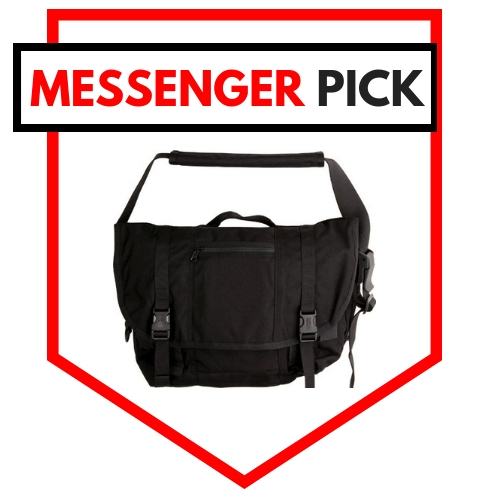 Messenger bags are the go-to for laptop carrying, so the profile of this bag is very unassuming. This is a key consideration for the gray man concept. The Blackhawk Covert Messenger Bag is one of the best gray man bags a commuter can get. As an added bonus, this gray man messenger bag comes in 1000D Nylon for ridiculous durability. It also has a lower price tag than most gray man backpacks since there is less material (straps) and it uses a no-frills design. Extremely light with a smaller backpacking profile. Inexpensive and unassuming. 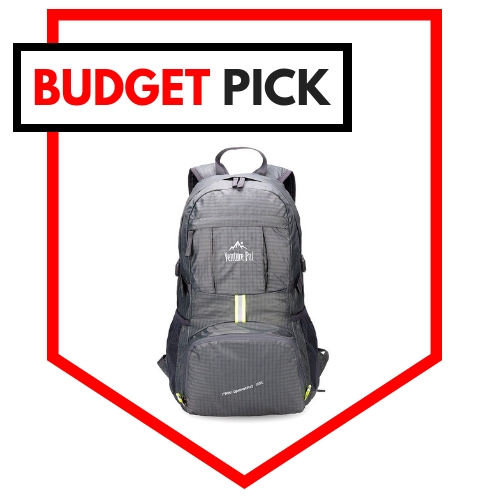 The Venture Pal Hiking Backpack is about as cheap as you want to go. The great thing about this bag is that you really can’t find a better one until you are spending the better part of a Benjamin Franklin. They kept the design simple and within your budget by using lightweight but tear-resistant and water-resistant nylon. The stress points are all reinforced with bar tacks and it uses metal zippers- both are rarely found at this price. It has a 35-liter capacity, so it is slightly larger than our tested favorite. The gray man backpack is the wearable embodiment of this strategy. It should pack great functionality into a covert design. Unassuming on the outside, but ready for any situation on the inside. The concept of being a gray man is simple: blend in and do not draw attention to yourself. We’ll get into more gray man detail in a section below, and share some resources to point you to where you can learn more about it. The last bullet point is where the gray man backpack comes into play. It may take some self-awareness and training to adjust your other tell-tale signs, but a solid gray man backpack can conceal tactical gear, firearms, survival tools; the list goes on. And none would be the wiser if the bag itself is not tactical or suspicious in appearance. MOLLE – Modular Lightweight Load-carrying Equipment straps and gear is a sure-fire giveaway that you are carrying useful equipment for survival. ALICE Clips – Less noticeable than MOLLE, but a telltale sign of someone with military gear. Paracord – Yeah, we know it is useful: but do not hang it off your bag. It screams ‘military’ and adds a motion component to your bag. Take off the paracord bracelet while you are at it. Attached Gear – Rapid access gear is awesome in deployment zones. If you are trying to blend in, that folding shovel and firearm maybe should be concealed either within the bag or on your person. Military Colors – MARPAT, ACU, or really any camouflage will, ironically, not do you any favors blending in. Even olive drab green is heavily associated with the military. Bright colors are also good to avoid, but as the name may suggest: gray is always a solid choice. Size and Profile – A bag shaped like an AR will draw attention. A stuffed 60L backpacking bag will draw attention. A middle-of-the-road size with a standard profile is best here. The list could go on and on, but those are the major features that you want to consider when looking for a gray man backpack. Now that we have gone over what a gray man backpack is not, we will look at what it is. Gray Man Backpack (noun): an unassuming pack used to hold tactical or survival gear. Tactical bags are the rage right now. You can find thousands of types of tactical bags online, and they all have one thing in common: they look really tactical. Plenty of people think that ‘tactical’ looks cool. Who are we to say what is cool or not? It is irrelevant. Tactical bags draw attention to themselves with all of the details we went over before. Strapping your gear to your bag with MOLLE attachments may look awesome, but it is also very noticeable. Noticeable is not necessarily what you want in a disaster or SHTF situation. Sure, you also do not want to misplace or lose your bag- but you also do not want others wondering what is in it. That is where a gray man backpack excels. A gray man backpack is versatile, and you should pick one similarly to how you pick out a backpacking backpack. Size is always a consideration, since you must balance comfort and capacity. Backpacks are typically measured in cubic inches or liters, which make them pretty easy to compare against each other. Finding the ‘sweet spot’ between capacity and portability is the key to getting the right bag. This usually depends on what you are using the bag for. Your own size and capability can influence how large of a pack you can handle as well. You may notice that many of these kit ranges overlap with the 30L capacity, which is one reason why this size is so popular. You may be restricted on size, but you will be comfortable without overloading yourself with unnecessary weight. It is also important to note that how you pack can make a big difference. Load your backpack to be balanced and consider accessibility of the tools you may need immediately. We go into detail on how to pack a backpack: How to Pack a Bug Out Bag – Packing Matters. Anyone can and should use at least one of these kits, if not all of them. Ranging from kids old enough to understand the concept of the kits to the elderly that have been prepared and weathered disasters and emergencies, there are examples of every type of person that have used the gray man concept to their advantage. Have you ever heard of a sleeper car? A sleeper car is a high performance car with an unassuming exterior. They are often used at local drag strip or street races to clean up on bets. People will place bets on the big name ‘flashy’ car, and pass the car with the dull exterior off as a big underdog. Pop the hood of the ‘sleeper car’, however, and you may see that is is just as fast, if not faster, than the flashy car. Don’t underestimate it’s performance on the track. A simply psychological loophole gives sleeper cars an advantage because they are consistently underestimated. The gray man concept uses this same underestimation to pass under the radar. People judge a book by it’s cover. It’s just embedded in our psychology… and it’s also something that people can exploit. This is one reason why the military embraces the gray man concept. If a well trained soldier walks in dressed as a soldier, you know what to expect. If they walk in dressed as a civilian, their skill set is much less likely to be anticipated. Luckily, for anyone interested in preparing for emergencies, gray man isn’t just for the military. Tagalongs – In emergencies people may look for those that are prepared to lean on them for their own survival. This could potentially slow you down or cause other issues with your planning. Opportunists – If a survival bag is laying around in a survival situation, plenty of fingers suddenly become sticky. Even good people lose some morality when survival is at stake. A tactical backpack is much more likely to be pilfered over an gray man backpack. Marauders – History has shown that some people just don’t play nice during emergencies. They view them as an opportunity to improve their station in life, with little regard for others. They could resort to physicality or threaten you to take your resources. They also can prey on those that look weak, so these groups and individuals are the most difficult to avoid. Blending in during an active shooter, emergency, disaster, or SHTF can save your life and help you avoid hardship. The gray man concept is one way that you can accomplish this. Do not stand out and elevate your risk during risky situations. The gray man concept is easy to try, but hard to master. Blending in, especially after training and learning skills, is hard to do effectively. 99% of people will be easily fooled with simple changes to your external appearance. That other small 1% will be tougher, and may be the more important group to fool. We lay out the easiest ways to start your gray man journey in one of our first posts: Becoming the Gray Man – The Skill of Constant Camouflage. 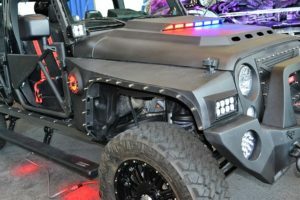 Nice Jeep, but too flashy for the gray man concept! Elevating past the exterior is hard. Being able to change your posture, your gait, and your mannerisms require a type of mental programming that few can master. The important thing to know is your limitations. Know that your gray man appearance may not fool everyone. Once you accept this, you can stay situationally prepared for an incident where you are recognized as a prepper or survivalist. We research products thoroughly before selecting the best products to review. We conduct thorough research, where we consult experts in the field for a better understanding of what makes the gear great. Hours on end are spent field testing gear in practical conditions. We assign performance criteria and impartially rate each tested item. You can support us through our independently chosen links, which earns us a commission at no extra cost to you. After our review process, some of the items reviewed end up in our giveaways, so be sure to check back often. A special thanks to our sources and references. We leaned on them for the book knowledge that we paired with our hands-on practical experience. Dermody, Matthew (2017). Gray Man: Camouflage for Crowds, Cities, and Civil Crisis. CreateSpace. Available on Amazon. We are lucky that manufacturers of tactical equipment recognize the importance of the gray man concept and offer less noticeable gear. If you are looking to use gray man to your advantage, remember that your clothes and equipment are not the entire equation. Changing your habits, posture, gait, and other characteristics takes practice, so be sure to give it a try before you actually need it. With all of the selections of backpacks out there, we hope that we have helped you narrow down gray man backpacks to your specific need. 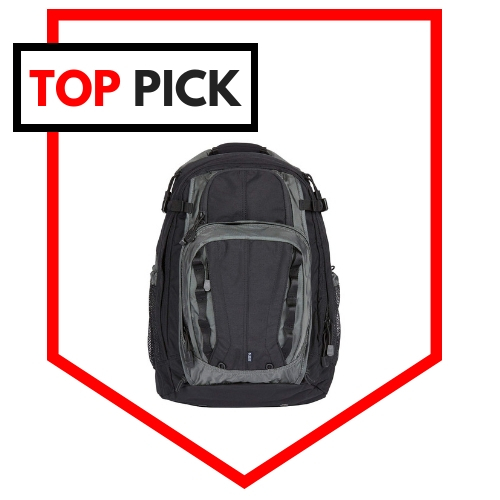 Everyone has a different situation, so the best backpack for you may be slightly different than what we have reviewed and tested. Be sure to get familiar with the pack and use it to get used to the feel and function. Take care of your gear and it will take care of you. Don’t stash it away, but get it out to get familiar with it if you are not using it every day. Keep exploring, stay prepared, and be safe. See all of our reviews on the latest and greatest gear by subscribing to TruePrepper, or by following our Facebook page. ← Extreme Preppers: How Far is Too Far? Your Gray Man Backpack research is much appreciated ! An aspect that I will highlight is the HANDLE. If you don’t look and smell like a homeless person then a full backpack stands out. I have found that taking it off my back and holding it low, significantly reduces attention. Backpacks with no handle or a simple nylon strip for a handle hinder my Gray Man capability. Also, urban savvy people often hold their bag in front of them in a crowd. Having a backpack on your back while in the midst of a crowd allows thieves to easy slice it open and take your stuff without you knowing. For these and other reasons, a durable and comfortable handle on Backpacks is a critical component for me.